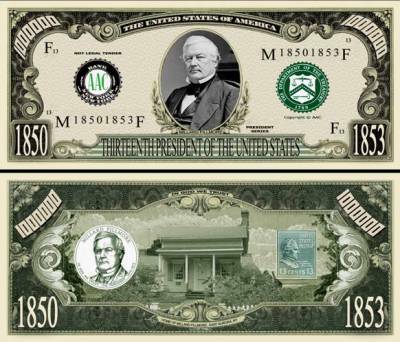 Millard Fillmore was the 13th President of the United States, the last Whig president, and the last president not to be affiliated with either the Democratic or Republican parties. 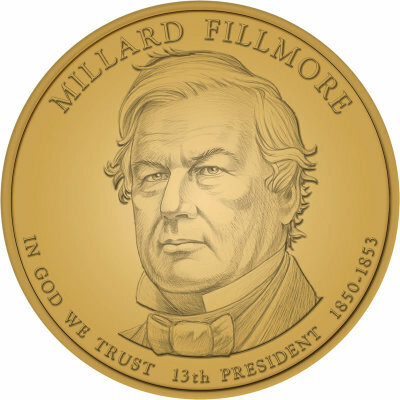 Born of humble origins in New York State, Millard Fillmore (1800-1874) became a lawyer and won election to the U.S. House of Representatives for the first time in 1833. He served four terms in Congress but left in 1843 to mount an unsuccessful run for the governorship of New York. In 1848, he emerged as the Whig Party candidate for vice president under Zachary Taylor, and after Taylor’s victory, he presided over months of early debate in Congress over the controversial Compromise of 1850. 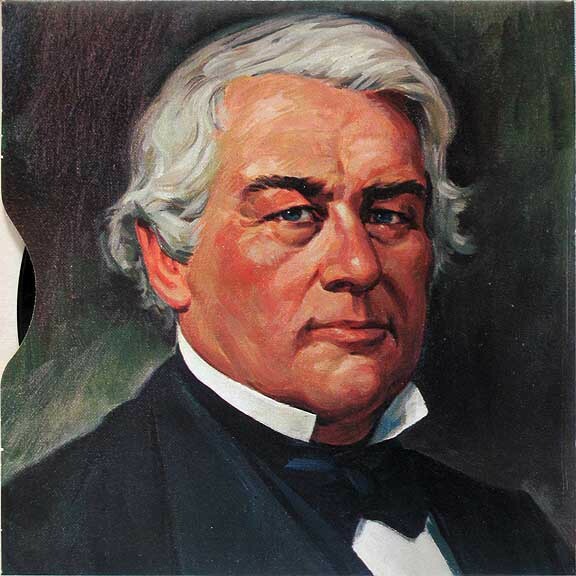 Taylor died suddenly in mid-1850 and Fillmore succeeded him, becoming the nation’s 13th president (1850-1853). Though Fillmore personally opposed slavery, he saw the Compromise as necessary to preserving the Union and enforced its strong Fugitive Slave Act during his presidency. This stance alienated Fillmore from voters in the North, and in 1852, he failed to gain the Whig nomination. 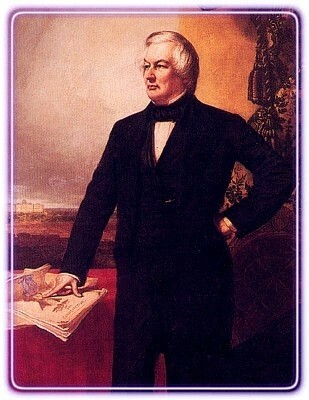 Adopted that September, the Compromise of 1850 would define Fillmore’s presidency. California was admitted to the Union as a free state while New Mexico was granted territorial status. The slave trade in Washington, D.C., was abolished while a strong Fugitive Slave Act put federal officers at the disposal of slave owners seeking their runaway slaves. Fillmore, who opposed slavery personally, was unwilling to touch it in states where it already existed for the sake of preserving the Union. Over the next few years, he consistently authorized the use of federal force in carrying out the return of slaves, further enraging northern abolitionists (including many in his party). In 1852, the Whigs denied Millard Fillmore their presidential nomination for General Winfield Scott, who lost to Democrat Franklin Pierce in the general election. Within a few years, it had become clear that the Compromise of 1850 was only a temporary truce, and as violence broke out in Kansas and Nebraska, the Whig Party splintered into factions and disintegrated. Fillmore refused to join the new Republican Party and endorse its strong antislavery platform, and in 1856, he accepted the presidential nomination of the short-lived Know-Nothing (or American) Party. 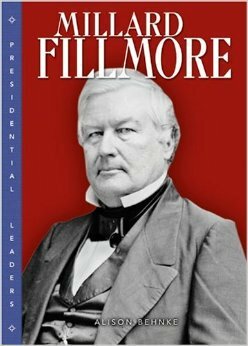 After finishing third behind Democrat James Buchanan and Republican John C. Fremont, Fillmore retired from politics. His wife Abigail had died in 1853, and in 1858, he married a wealthy widow, Caroline McIntosh.